After the death of Jehoiada, the officials of Judah came and paid homage to the king, and he listened to them.They abandoned the temple of the Lord, the God of their ancestors, and worshiped Asherah poles and idols. Along my life journey I’ve witnessed, or been part of, a number of leadership transitions. Churches, schools, civic organizations, business, clients, not to mention the transition of power our nation peacefully experiences every 2-4 years. Some transitions I’ve experienced have been positive experiences, some have not. In today’s chapter the Chronicler relates some fascinating details about the reign of young King Joash of Judah. In the previous two chapters we learned that the entire royal family of David had been wiped out. Joash had been hidden away as an infant in the Temple of Solomon for seven years. Then the high priest, Jehoiada, let a coup and placed Joash on the throne. Reading between the lines on the Chronicler’s papyrus, we see there may have been a bit of an ebb and flow to the relationship between Jehoiada and young King Joash, between monarch and priest, between politics and religion. Jehoiada was, no doubt, a powerful figure. He was the one who hid the infant and protected him. He was the one who plotted and carried out the coup. He was the one who put Joash on the throne. Jehoiada was the power behind the child king, and he even oversaw who Joash would marry and with whom the king would have children. The king grows up and gives orders for a tax to be collected to repair Solomon’s Temple, but the King’s wishes are not immediately carried out. Jehoiada was the power behind the throne, and the Levites knew to take their orders from the high priest, not the king. Joash summons Jehoiada before him. Joash had always taken his commands from Jehoiada, now the young king was testing and exerting his own power and authority over Jehoiada. The high priest submits, but we as readers are left wondering just how these two powerful men managed their relationship with one another. The Chronicler then tells us about another transition of leadership. The powerful religious leader, Jehoiada, dies. There is now a vacuum of religious leadership. Immediately, the “officials” of Judah (leaders of clans, businessmen, state officials. and etc.) swoop into that power vacuum and pay a visit to King Joash. They convince the King to loosen Jehoiada’s powerful stranglehold on local religion and support the resurgence of the local Canaanite gods. Joash does so despite many prophetic warnings. The Chronicler makes it clear that this doesn’t end well. This morning I’m thinking about transitions of leadership and of power. Jehoiada saw to it that Joash was placed on the throne, but the Chronicler’s account leaves me believing that he may have looked upon the young monarch as a puppet to be controlled rather than a protegé to be mentored. The difference is monumental and the fact that there was no successor to Jehoiada with the authority to command respect of the King and his “officials” says that the high priest had equally not done an adequate job preparing for his successor and ensuring that the legacy of his leadership would continue. I have been blessed and privileged to be in many different leadership positions in my lifetime. In the quiet this morning I’m taking stock of how I have handled the transition of power and leadership to others. The results, I confess, are mixed. In some cases I feel that I’ve done well, and in others I realize that, like Jehoiada, I’ve missed the opportunity to bless my successor and those under my leadership with a wisely planned transition. I can’t change the past, but I can ensure that I handle future opportunities with greater wisdom and grace. I pray I do so. Now that Wendy and I have had a few nights free to sit on the couch together and enjoy some entertainment, we’ve been wading into the backlog of our DVR queue to enjoy a few of the new shows from this fall. This past week we’ve been making our way through The Blacklist, which we’re finding to be a unique and well written show. The other night we were watching one particular episode in which I thought that the music choices they made to play beneath the action were brilliant. 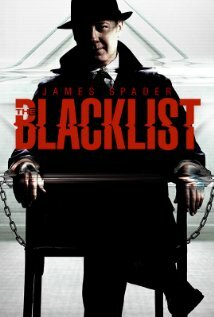 At the beginning of the show, the anti-hero, played by James Spader, is seen being led in shackles by FBI agents. In the background we hear The Rolling Stones’ Sympathy for the Devil. Later in the episode as the plot is revealed in a flurry of action we hear the unmistakable rhythm of Nina Simone’s Sinner Man (“Oh sinner man, where you gonna run to?”). Music makes such a huge difference in the telling of a story in television and film. It’s amazing how some songs become iconic and take on layers of meaning that were originally never intended in the writing. In the catalog of David’s song lyrics (a.k.a. The Psalms), Psalm 110 stands out as one of the most unique and important that David penned. In the nearly 1000 years between it’s writing and the public ministry of Jesus, the lyrics had already be considered “Messianic” (e.g. about the coming messiah) by Jewish scholars. In particular, there are two verses of this song that are of particular importance. In writing “The Lord said to my Lord” Jesus teaches that David was writing about two persons of the trinity: “The Lord (God, the Father) said to my Lord (God, the Son [Jesus])” having been inspired by the third person of the trinity (God, the Holy Spirit) to write the prophetic lyric. Jesus’ point was that David did not call the Messiah his progeny, his son, or his child. The messiah was “Lord” and authority above his own earthly throne. In the Old Testament there is a clear distinction between the offices of priest and king. God established in the law of Moses that only descendants of Aaron from the tribe of Levi could be priests. After the monarchy is established (which we just read about this past month or so in the book of 1 Samuel), God establishes that the messiah will come from the royal line of David. David was from the tribe of Judah. And so, we have a conundrum. The messiah cannot be purely from both the tribe of David and the tribe of Levi. Long before the law of Moses was given, establishing the rules of who could become a priest in the sacrificial system of the Old Testament, there lived in Salem (an ancient form of “Jeru-Salem”) a king named Melchizedek who was also a priest of God Most High. Little is known of Melchizedek, but he blessed Abraham, the father and patriarch of Israel. The order of the priesthood from Melchizedek is far older and more mysterious. But David points to Melchizedek as the model of the messianic King-Priest combination, and in doing so also establishes his authority as God’s king on earth with limited, but very real priestly responsibilities. Forgive me this foray into a little arcane lesson of prophecy and theology. As I mentioned in the outset of this post, soundtracks add layers of meaning to a movie or television program. The Psalms are the soundtrack of God’s story. The more you study them, the richer they become in depth and meaning. And, the more they compliment your understanding of everything else you read in God’s Message. In today’s chapter, Melchizedek is called “priest of God Most high” but he lived and is identified as “priest” many centuries before the priestly system of the Old Testament was established in the Law of Moses. At this point of history, there is no mention of an organized and systematic worship of God. We’re not sure who Melchizedek really was or where he came from. In the lyrics of Psalm 100, David refers to God as “High Priest in the order of Melchizedek.” It presumes a divine and priestly position separate, older, and greater than the priestly system established in the Law of Moses. After Jesus’ death and resurrection, a great conflict rose up among the Jewish followers of Jesus and their Jewish leaders. Those who did not believe that Jesus was the Messiah argued that He couldn’t possibly be because the Messiah would be God’s “High Priest” but priests in the law of Moses could only be from the tribe of Levi. Jesus was from the tribe of Judah. It’s an interesting argument anyway because prophecy clearly pointed out the that Messiah would also be King in the line of King David of the tribe of Judah, so how one person could be King from the line of Judah and Priest from the line of Levi at the same time is a head scratcher. In the book of Hebrews (see chapter 7), this argument about Jesus having to have come from the tribe of Levi is addressed. The author points out that Jesus is, indeed, God’s High Priest, but not from the earthly system established by Moses through the tribe of Levi, but through the older and more eternal order of Melchizedek just as David established in his song. Notice that when Melchizedek goes to meet Abram he brings bread and wine, a interesting parallel to Jesus’ last supper when He established bread and wine as a metaphor of His eternal sacrifice. One of the cool things about an ongoing journey through God’s Message is the way the layers of time, teaching, and tradition fit together in the larger story that God is telling. I’ve always said that those who avoid reading and learning about the story of the Old Testament are missing the opportunity to mine the depths of meaning that exist in the life and teachings of Jesus.